The Bank of Japan on Tuesday announced a set of monetary policy changes for the first time in almost two years, outlining a more flexible policy designed to let long-term interest rates “move upward and downward” as policymakers look to create more flexibility to continue unprecedented monetary stimulus. Inflation forecasts released Tuesday were also revised downward, calling into question the exact timing as to when and if the BOJ will reach its 2 percent inflation target. While the policy statement released by the BOJ outlined a plan to keep the foot on the stimulus gas for “an extended period of time,” the policy tweaks also showed that the central bank may be willing to let some interest rates rise slightly, a potentially large break after years of pushing rates toward historical lows. In yet another sign the BOJ is giving itself more flexibility in regard to asset purchases, the policy statement said stock buys through exchange-traded funds can also be scaled back when the bank deems it necessary. The nine-member Policy Board voted 7-2 to adopt the latest changes, with Deputy Gov. Masazumi Wakatabe appearing to shed some of his most aggressive policy tendencies as he cast a vote with the majority. BOJ Gov. 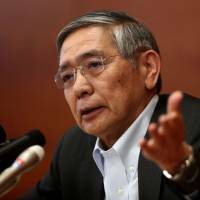 Haruhiko Kuroda said during a news conference after the board wrapped up a two-day meeting that the policy change “does not intend to raise interest rates,” and explained it will help lead to a healthier bond market. Kuroda stressed repeatedly that the changes were made to make monetary stimulus more sustainable, and thus they reinforce — rather than weaken — the BOJ’s commitment to reach the 2 percent inflation goal. With an increasingly complex policy stance, communication with markets and the pace of purchases will be scrutinized ever closer by market participants who are looking to divine whether the changes amount to a strengthening or weakening of stimulus. For some market participants, Tuesday’s decision was “much ado about nothing” because the BOJ does not appear willing to allow large increases in long-term interest rates. Yet Onogi is not convinced that the BOJ is necessarily up to the task of communicating the latest policy changes clearly to the market. “I think it should be more important for the BOJ to have a clear communication with the markets going forward, but as you see by now, especially for the past one week, the bank is extremely poor in communication,” said Onogi, referring to the recent confusion over conflicting reports that were ostensibly leaked from the central bank itself. The new policies are unlikely to only test the bank’s communication strategy, as traders and other financial institutions attempt to understand how far long-term interest rates will be allowed to rise. The change was made under increased speculation that monetary stimulus might be scaled back to some extent, as Policy Board members and bureaucrats within the BOJ appear increasingly weary of the negative side-effects that ongoing stimulus poses to the financial system. 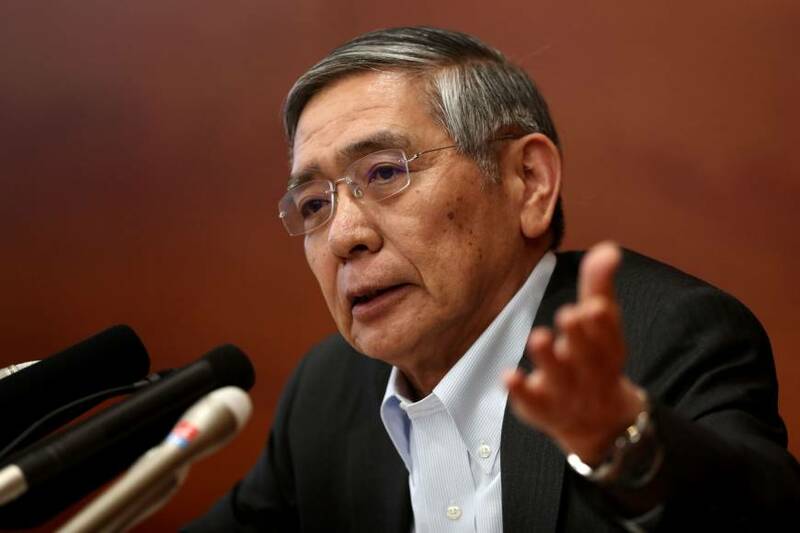 While Kuroda and other officials did not say Tuesday’s decision was driven by fears over financial stability, the development may be welcome for private banks and insurance companies that often depend on higher long-term yields for their business success.